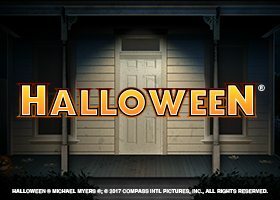 Microgaming has released a slot themed after the movie titled Halloween. With Halloween Slots, you can relive the terror of the movie in the game version. Read on to get more information about this online slot. This game is based on the 1978 blockbuster movie by John Carpenter. 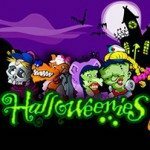 Halloween Slots has 3 rows, 5 reels and 50 fixed paylines. The main theme of this slot dark and spooky. This game is built for mobile gameplay. You can play from virtually any mobile device. It is also compatible with most of the popular operating systems around. Players can start playing with as little as 50p for each spin of the reels. There have been sequels to the original movie. However, this Halloween Slots sticks with the four main characters from the original. These characters also act as high-value symbols in the game. The characters include Lynda, Laurie, Loomis and Annie. Laurie has the highest value in this slot. The low-value symbols include guns, knives and clown masks. Other symbols are telephones, matches, knitting needles and wool. The Wild symbol in this slot is a Halloween icon. This symbol will substitute other symbols on the reels except for the Scatter icon. By landing scatters you will trigger the bonus feature in this slot. You can trigger a Trick or Treat Bonus Feature. This happens when you match up at least three scatters on the reels. You will get to play a Wheel of fortune round. Here you can earn Multipliers and Free Spins. You can also trigger a Boogeyman bonus feature. In the Boogeyman bonus round, you can win a 20x multiplier and any one of 10 cash rewards. However, the Boogeyman is Michael and if he is uncovered you lose half of your winnings. Landing knife icons can stop Michael and save half your winnings. In Halloween Slots there is also a Wandering Reel Bonus Feature. You can get to boost your chances of landing winning combinations here and earning good payouts. The dark graphics theme and eerie music give this slot a realistic feel. The bonus features available are quite good and will help boost your payouts. The gameplay is simplistic enough and you can play on a mobile device of your choice.